Stuck in a windowless office or interior cubicle all day long? Live in a basement apartment/death trap? Incarcerated yet still have Internet access and are reading this site and can order stuff online delivered right to your cell? 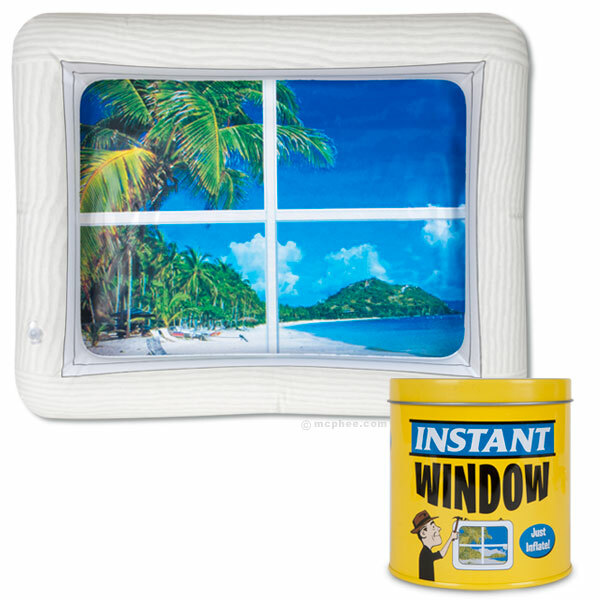 You might just be the perfect candidate for an Instant Inflatable Window. Open the can, blow it up, and you’re whisked away to a tropical paradise in your mind. It’s definitely cheaper than taking an axe to the wall and making a real window. I want to go to a wedding with a bounce house. That would rock.